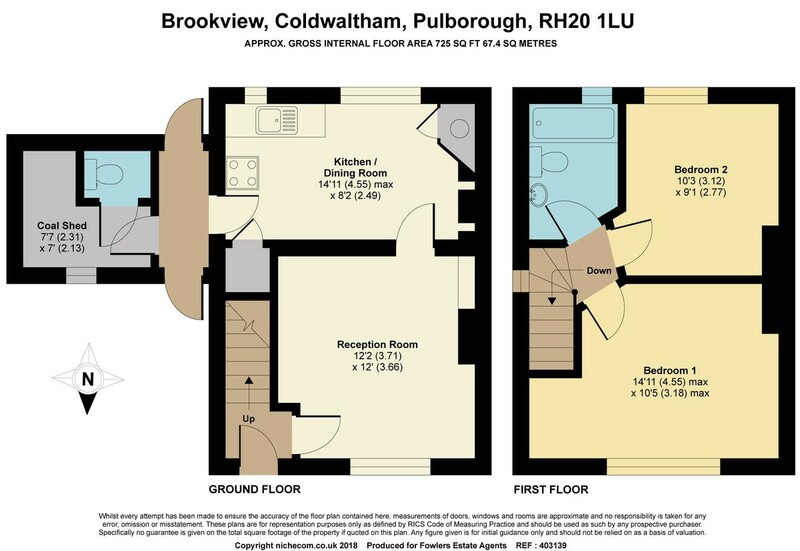 DESCRIPTION A SEMI-DETACHED property located within this semi-rural village of Coldwaltham. Internally, the property offers a superb opportunity for a RENOVATION PROJECT with accommodation comprising: sitting room, kitchen/dining room, two double bedrooms and bathroom. Outside there is off-road parking to the front with a GENEROUS SIZED GARDEN to the rear. Fireplace with tiled surround, picture rails, uPVC double glazed window, built-in storage cupboard. Inter-connecting doors leading through to front garden and rear garden. Panelled bath with fitted shower attachment, low level flush w.c., pedestal wash hand basin, uPVC double glazed window. Generous sized garden, mainly laid to lawn, screened by hedging, timber garden sheds.